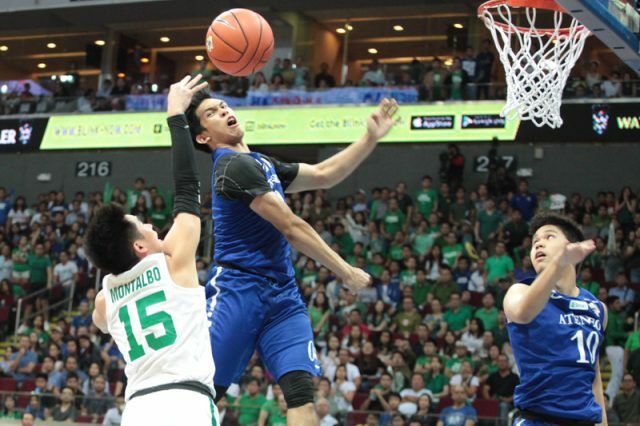 The Ateneo Blue Eagles took one step closer to redemption after taking down rival De La Salle Green Archers, 76-70, in Game One of the best-of-three UAAP Season 80 finals on Saturday at Mall of Asia Arena. Thirdy Ravena led the balanced Blue Eagles attack with 12 points, six rebounds and four assists as Ateneo stayed on track in their mission to avenge their finals loss to their rivals last year. Brothers Mike and Matt Nieto finished with 11 points apiece while Anton Asistio chipped in 10 for Ateneo which was successful in stifling La Salle star Ben Mbala. 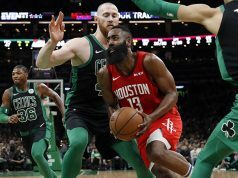 The two-time MVP only scored a career-low eight points to go along with 12 rebounds and four assists as he couldn’t carry the Green Archers who trailed by as many as 13 points. Aljun Melecio spearheaded La Salle with 24 points but Mbala’s off-game was simply too much to overcome for the Green Archers who managed to rally in the second half but didn’t sustain it in the end. Game Two is set on Wednesday at SMART-Araneta Coliseum.